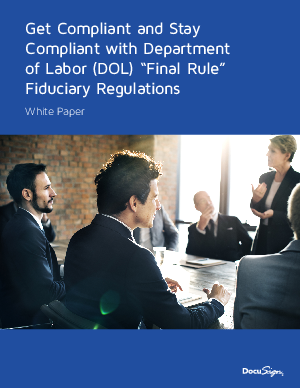 In April 2016, the Department of Labor (DOL) released its final rule regarding financial and fiduciary disclosures. This rule significantly expands the definition of fiduciary, spanning financial advisors as well as plan sponsors, funds, and producers who provide incentives to advisors. The rule has far-reaching impacts on business, compliance, and operations/technology and the April 2017 compliance deadline is coming up quickly.